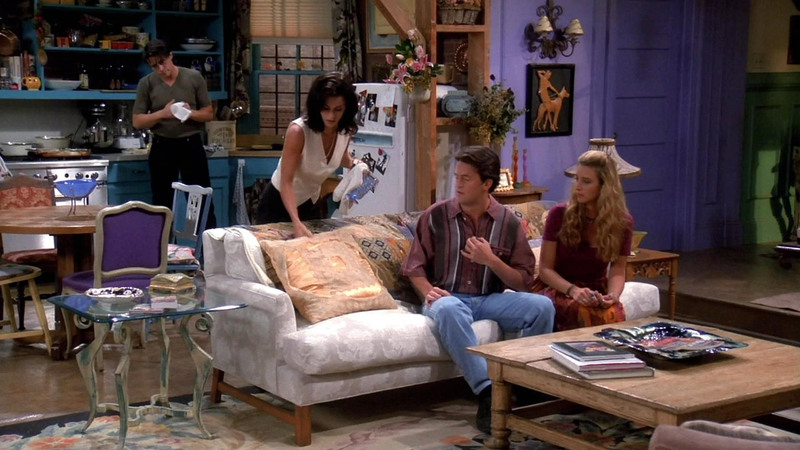 Everyone knows that the apartment that Monica and Rachel lived in on Friends is one of the most opulent TV fantasies of all. Yeah, yeah, we all know Monica “inherited” the spacious apartment from her Grandma, so therefore it was probably rent controlled. But even considering that, it was always confusing how a chef and a part-time barista/waitress made the rent on that place. Actually, how much was that place? And how much would it cost today? 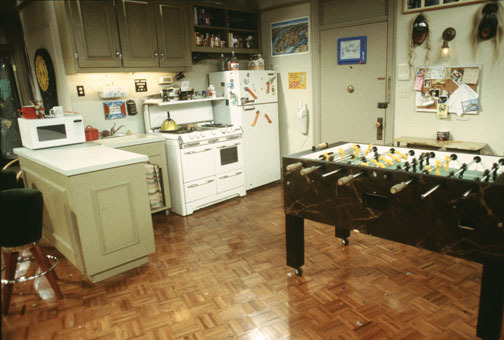 The New York Post did the math and concluded that that apartment would cost $4,500 a month if you rented it today. WOOF! Based on its location in NY’s desirable West Village and its presumed location at 90 Bedford St., and taking into account recent listings at that location, plus the terrace, plus average two-bedroom rent in that area…their calculations have decided that this pad would cost $4,500. Granted, rent was cheaper in the ’90s, but so was the living wage. Actually, the minimum wage in New York around the time that Rachel was waitressing was approximately $5 an hour. So, let’s just assume a magical money tree was paying for her share of the rent. 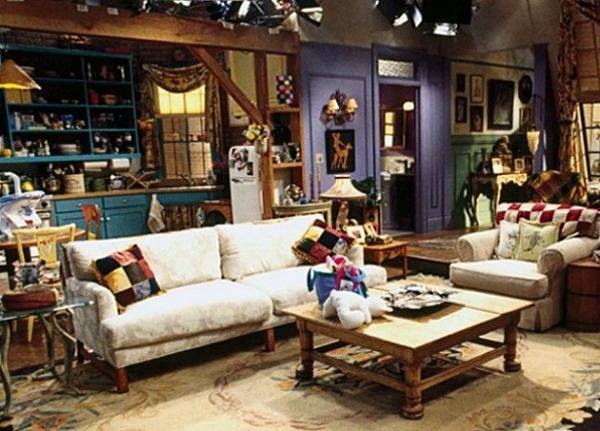 Don’t even get us started on Joey and Chandler’s two-bedroom down the hall. The New York Post claims their place would price in the high $3,000s per month. Soooo, imagine being a partially employed actor with your share of the rent costing $1,500 and you don’t even have a dead grandma to inherit the place from!